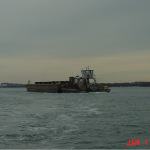 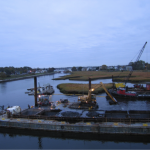 Green Harbor in Marshfield MA has historically been dredged by the U.S. Army Corps of Engineers’ trailing hopper dredge Currituck. 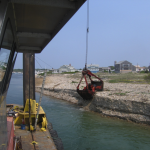 However, the percentage of large stones in the harbor had come to prevent the small hopper dredge from doing an effective job. 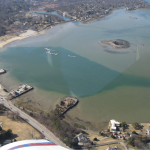 In its history, many attempts had been made to create a channel that would provide a long term solution to shoaling in what had come to be known as the “Green Harbor Narrows”. 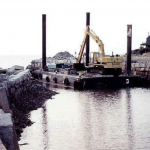 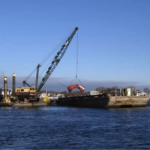 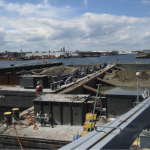 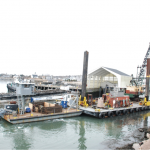 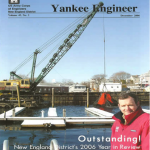 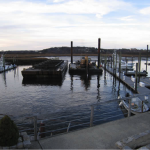 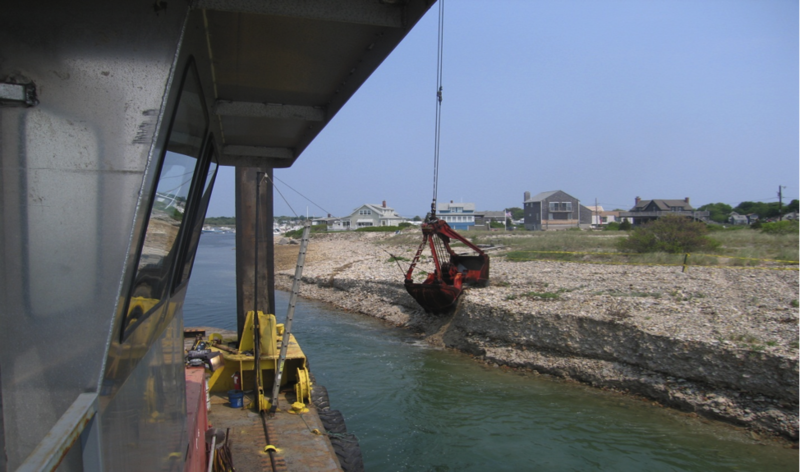 In 2007, the Corps, in partnership with the town of Marshfield and the State Seaport Council, decided to make the commitment to enlarge the channel to its full authorized dimensions. 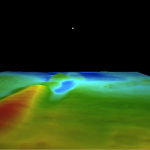 They also sloped the East side of the channel (that with the highest elevations) at a very stable 5 on 1 slope. 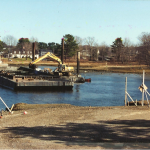 During this project, the intersection of environmental windows and available funding left only a 45 day window, a window that began to close almost as soon as it opened with the arrival of a week long Nor’easter. 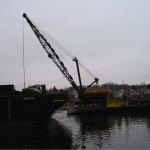 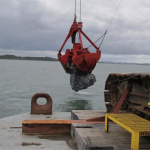 Despite the foul weather, the dredge SAMSON III dug through the sand and rock without hesitation.